Performing Umrah is an auspicious opportunity which needs special preparation. So be fully prepared for your holy pilgrimage. Also you are bound by general airline, airport and travelling laws/rules which are not listed above. Each year, millions of pilgrims visit holy cities of Makkah and Madina for performing Hajj and Umrah. Saudi government has strived to facilitate these guests of Allah especially in field of infrastructure. 50 years earlier, performing Umrah was not that much easy. You will find many free washroom and shower facilities. Drinking cold water is easily available and accessible. Restaurants offer cuisines from all over the world. Hotels have all the modern luxuries like any other developed country. Also transportation facilities are equal to any other major city. The climate of Saudi Arabia depends on the time of the year and ranges from warm to very hot. Rainfall is really scarce. So when you are packing for your holy journey, think of summer season. Despite of efforts made by the Saudi authorities to make this holy journey as easy and comfortable as possible, but the worship itself is really demanding and you will experience a lot of physical exhaustion. For this reason, it is recommended to perform Umrah when you are in good physical condition. If you are on some kind of medication, you should take enough supplies with you. 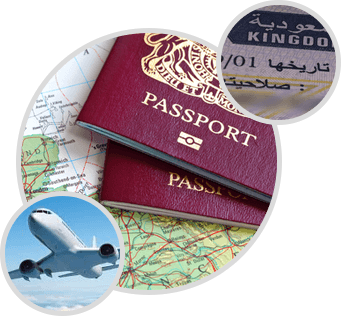 Like any other trip abroad, you should take travel insurance so in case of any unfortunate incident you are covered. Try to fully devote yourself to remember Allah SWT and his blessings on your holy journey. While you are on the most sacred place of Islam, try to gain as much knowledge of Islam as you can and busy yourself in recitation and making dua. This is the best way to get full benefits of your holy journey.